Congratulations to your new NUS delegates! Voting has closed and your NUS delegates have been elected. Next April, Durham students have chosen to send Matt Bonini, Sam Johnson-Audini, Tom Chapman, Kate McIntosh and Caragh Aylett to Glasgow to represent Durham’s interests at NUS national conference. Congratulations to all candidates for your excellent campaigning and ideas, and thank you to the 1,355 of you who voted for making your voice heard in the future of NUS. You can find the full breakdown of voting here. 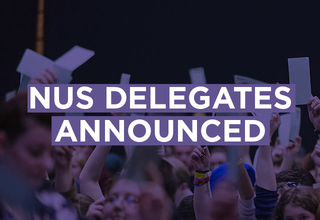 While we wait until April, you can read the winning manifestos here to find out what priorities your delegates will be bringing to conference, where they will elect the future leaders of NUS and set the direction of its policy.